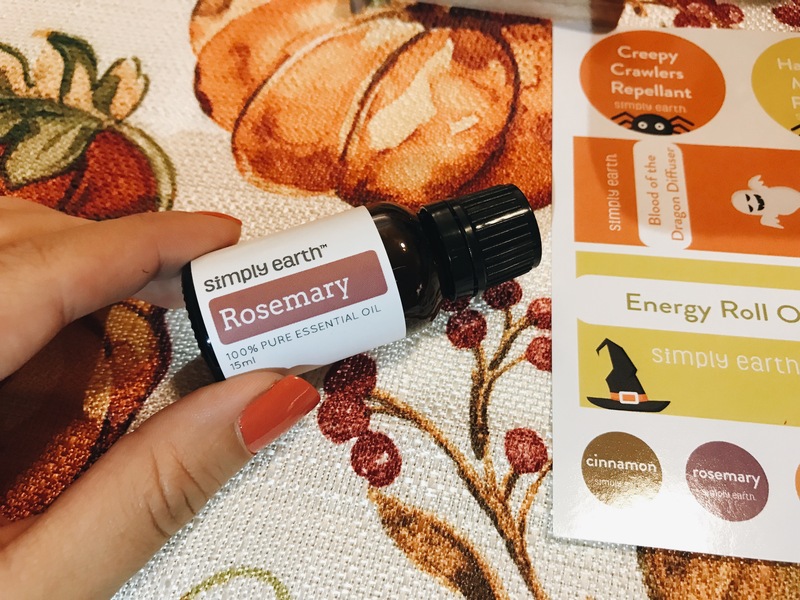 October Essential Oils Recipe Box from Simply Earth! BABES! How's it going? It's been a while since I've dropped in here, but boy do I have something fun to share with you today. 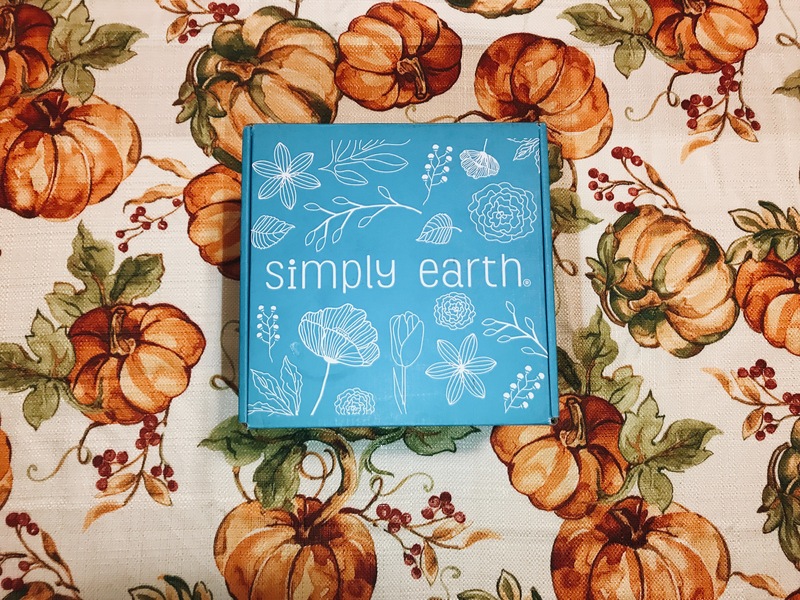 I had the opportunity this month to collaborate with Simply Earth. 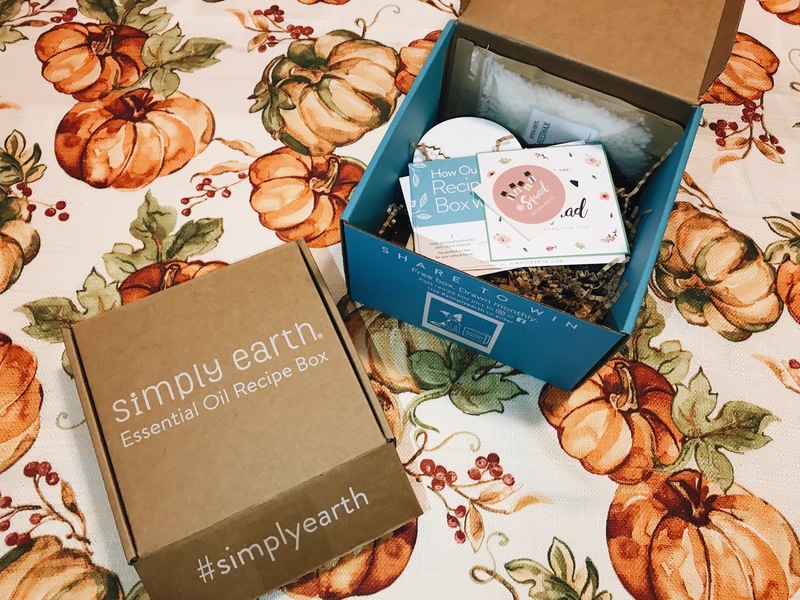 Simply Earth is your one-stop shop for essential oils, jewelry, accessories, and my new favorite thing – their monthly recipe boxes. 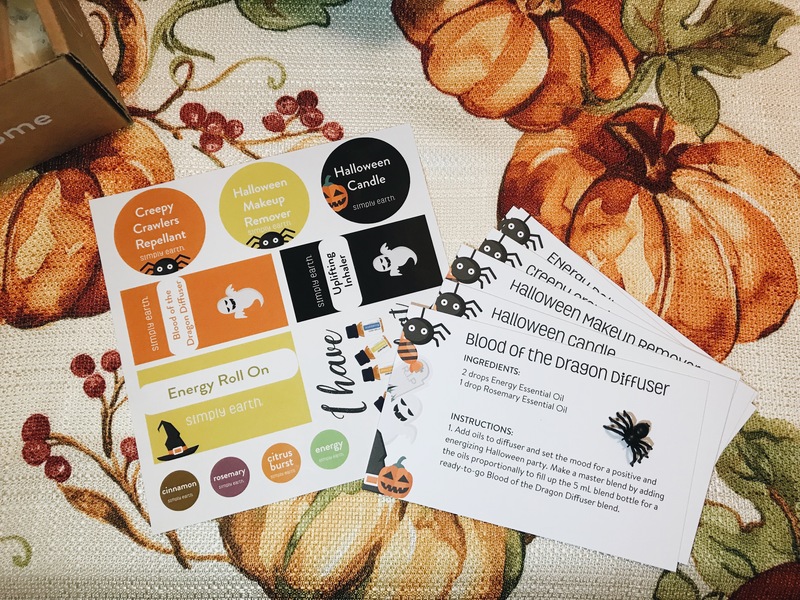 I received the October recipe box and the bonus box as well as some fun stickers and whatnot. Playing with the recipe box was a great way to decompress after a particularly lousy and stressful day. After I was done, I Facetimed my mom to show her everything, and we discussed how many friends and family members would love a subscription of their own. Christmas prep just got a lot easier! 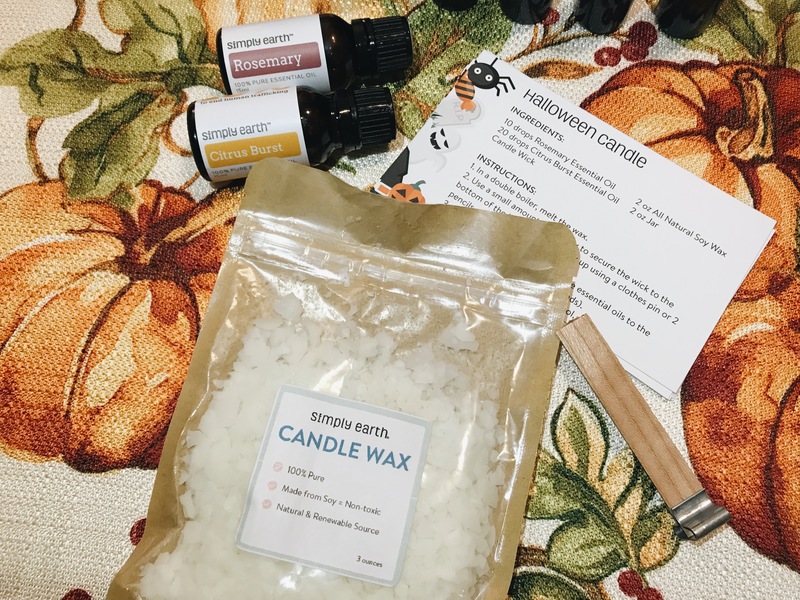 This month's box came with a bunch of different recipe cards to make rollers, blends, even a candle, and more. 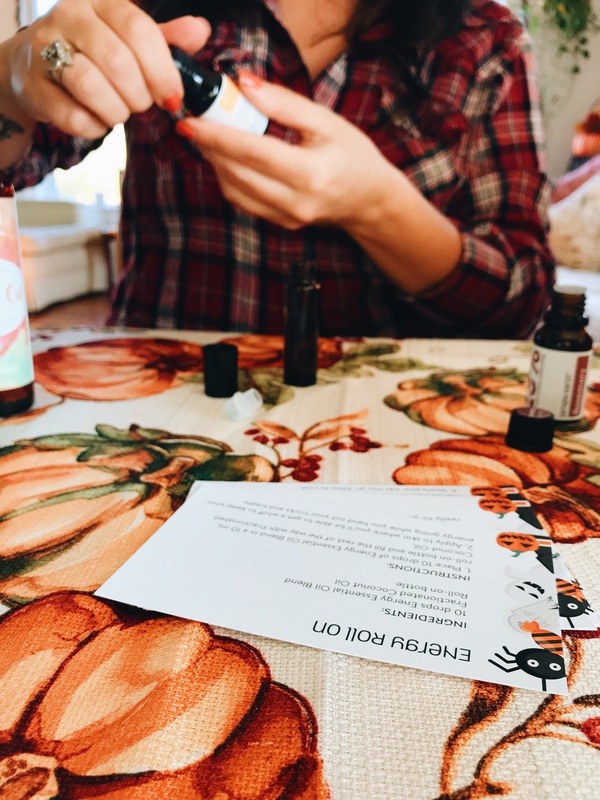 The extra bottles and rollers were great for experimenting and making my own blends too! I love that the containers are glass and reusable (hi, minimalism!) 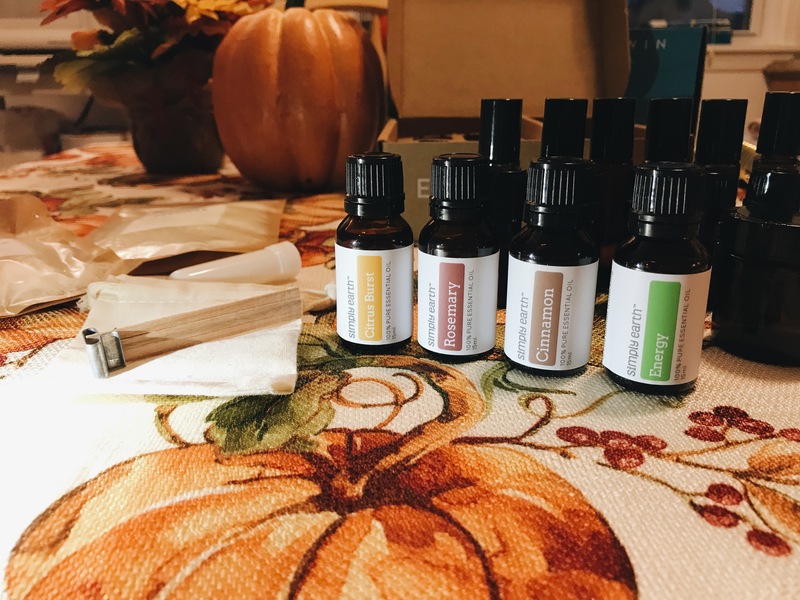 I followed each recipe card, step by step, then labeled the bottles and viola! I've used at least one item from the box every day since. Great product, great fun, just simply GREAT. 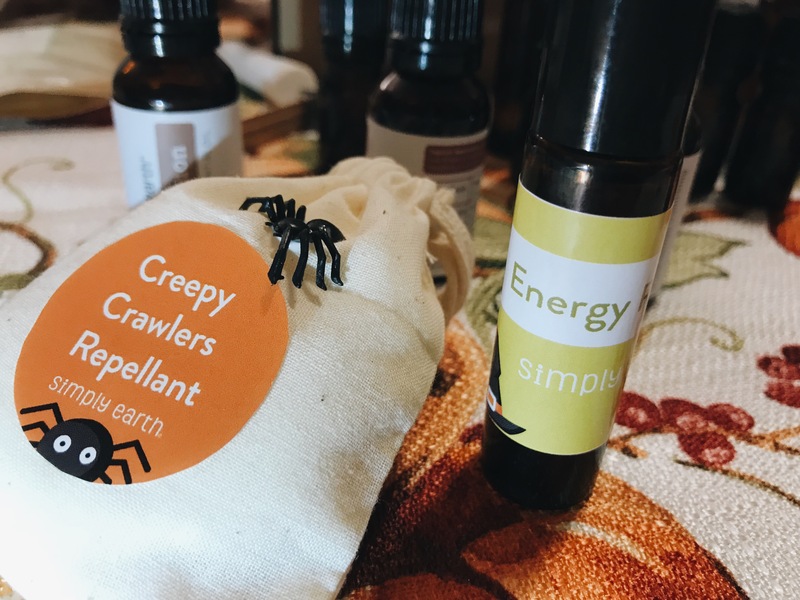 My favorite recipe was the Energy Roll On: Energy Essential Oil Blend (lemon, eucalyptus, and peppermint) + fractionated coconut oil. 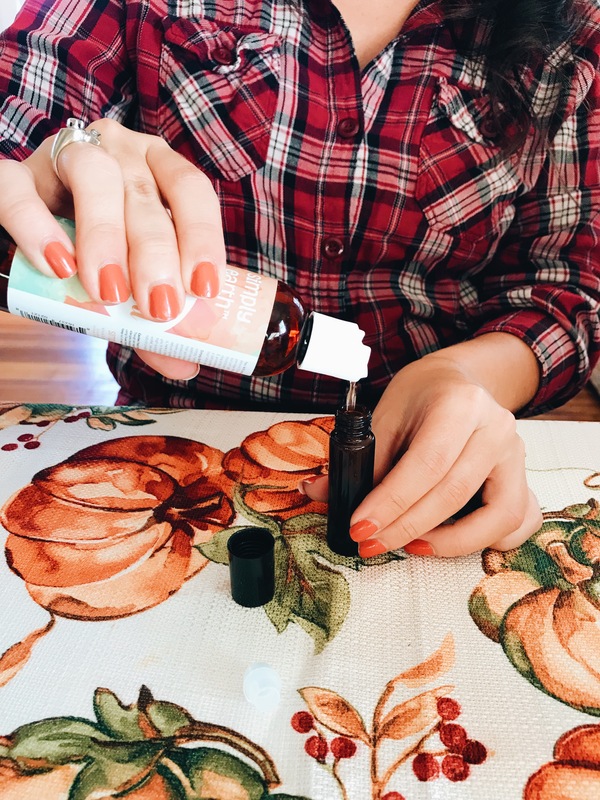 So easy and a great boost throughout the day! 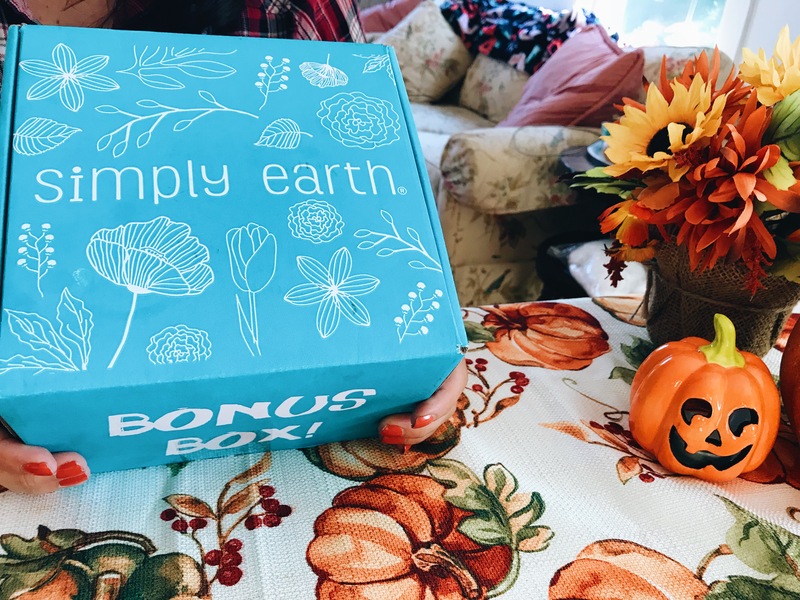 Another awesome thing to note: Simply Earth donates 13% of their profits to help fight human trafficking. Amazing! 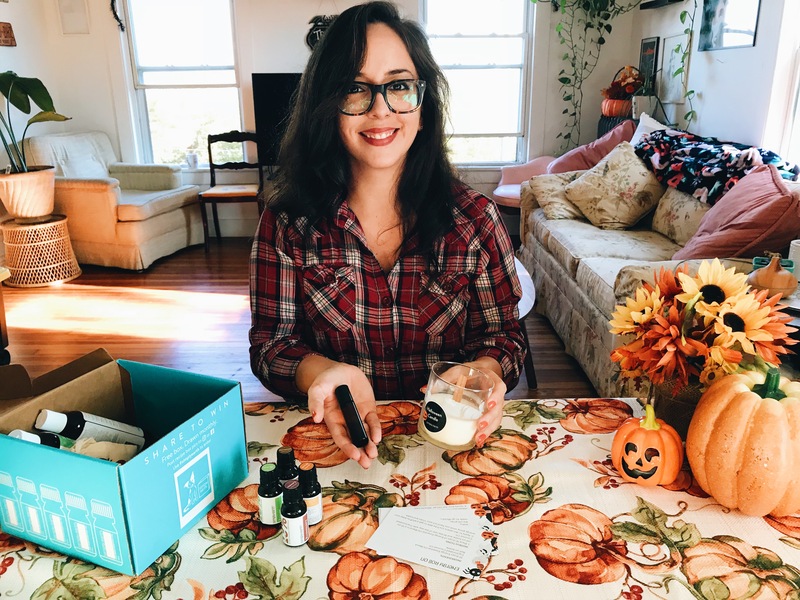 When you subscribe for the first time using my code, you will receive an Essential Oil Recipe box, the Big Bonus Box, and a $20 gift card which you can use for future purchases. 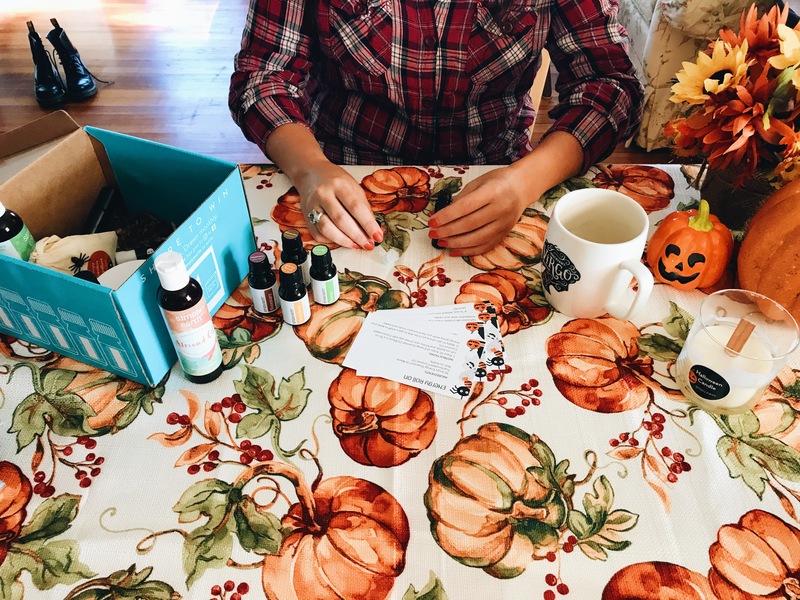 The $20 gift card will be emailed to you after making your first purchase.